In A.D. 49, Paul traveled to Thessalonica, a major city in northern Greece, to preach the gospel. A small group of manual laborers responded positively to his message, resulting in the formation of a church. After spending less than three months with his converts, Paul left the city for southern Greece, ending up in Corinth, from where he wrote two letters to the Thessalonians four months or so after he had left them. 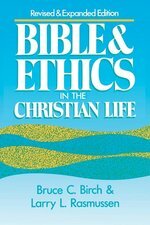 These epistles are particularly valuable because they reveal the concerns of Christians new to the faith and Paul's pastoral care as he guides them. 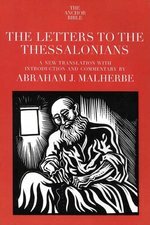 Abraham J. Malherbe vividly describes the social, cultural, religious, and philosophical contexts in which the Thessalonians lived, enabling us to better understand Paul's missives. 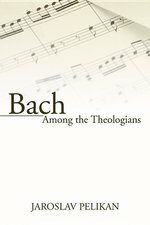 Detailed introductions to the letters, a new translation, and a lively, enlightening commentary make this an indispensable volume for scholar and layperson alike. Misunderstanding abounds concerning this strange and complex book of the New Testament. 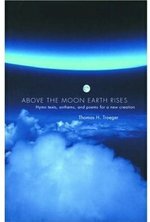 This interpretation is written in the conviction that the key to understanding this work is its literary form: revelatory narrative and allegorical narrative. It reveals the structure of the narrative and its basic underlying pattern of persecution, judgment and salvation. It shares with us the message that even as Christ passed through suffering and death to the resurrection beyond, so too may we. Taking vigorous issue with the pervasive Western notion that the arts exist essentially for the purpose of aesthetic contemplation, Nicholas Wolterstorff proposes instead what he sees as an authentically Christian perspective: that art has a legitimate, even necessary, place in everyday life. While granting that galleries, theaters and concert halls serve a valid purpose, Wolterstorff argues that art should also be appreciated in action -- in private homes, in hotel lobbies, in factories and grocery stores, on main street. 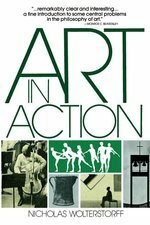 His conviction that art should be multifunction is basic to the author's views on art in the city (he regards most American cities as dehumanizing wastelands of aesthetic squalor, dominated by the demands of the automobile), and leads him to a helpful discussion of its role in worship and the church. Developing an aesthetic that is basically grounded, yet always sensitive to the human need for beauty, Wolterstorff make a brilliant contribution to understanding how art can serve to broaden and enrich our lives. Through the words of Henri Nouwen, this is an inspiring and life-transforming guide to the ultimate mystery of human existence. 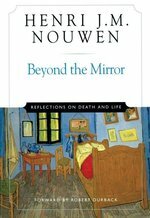 O'Rourke concentrates on Nouwen's reflections on death and dying. Despite contributions from current literary and social-scientific approaches to Mark's Gospel, much exciting work remains to be done from the perspectives of the history of religions and tradition-history. 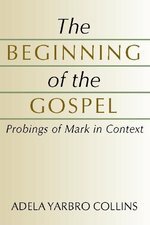 Collins' assessment of the major turning points in Mark's narrative sheds light on its characteristic themes and open questions. 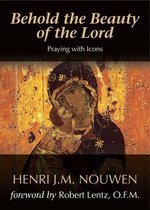 Invites readers to pray with four Russian icons with their eyes open by emphasizing seeing or gazing, which are at the heart of Eastern spirituality. This book includes four color icons, which can be removed for private contemplation or meditation. In this rare, previously unpublished interview Henri Nouwen, one of the most deeply loved spiritual teachers of recent times, reflects on themes that were central to his life and thought.Beloved records -- in both spoken and written form -- a treasured conversation that took place in the summer of 1992 at a retreat center in England. The CD enables one to listen to Nouwen's distinctive voice as he speaks about such things as transforming our loneliness, escaping the tyranny of busyness, and choosing to live in ways that, moment by moment, remind us of who we are -- the beloved of God.The book shows this conversation to be studded with gems of spiritual wisdom that merit slow, contemplative reading. Including questions for reflection or discussion, Beloved is perfect for individual or group retreats or for personal listening and reading. Here is a depth of wisdom to turn to again and again. Over the course of the last 1400 years, Islam has grown from a small band of followers on the Arabian peninsula into a global religion of over a billion believers. How did this happen? The usual answer is that Islam spread by the sword-believers waged jihad against rival tribes and kingdoms and forced them to convert. Lamin Sanneh argues that this is far from the whole story. Beyond Jihad examines the origin and evolution of the African pacifist tradition in Islam, beginning with an inquiry into the faith's origins and expansion in North Africa and its transmission across trans-Saharan trade routes to West Africa. The book focuses on the ways in which, without jihad, the religion spread and took hold, and what that tells us about the nature of religious and social change. At the heart of this process were clerics who used religious and legal scholarship to promote Islam. Once this clerical class emerged, it offered continuity and stability in the midst of political changes and cultural shifts, helping to inhibit the spread of radicalism, and subduing the urge to wage jihad. With its policy of religious and inter-ethnic accommodation, this pacifist tradition took Islam beyond traditional trade routes and kingdoms into remote districts of the Mali Empire, instilling a patient, Sufi-inspired, and jihad-negating impulse into religious life and practice. Islam was successful in Africa, Sanneh argues, not because of military might but because it was made African by Africans who adapted it to a variety of contexts. With searing honesty Henri J. M.Nouwen describes the events leading up to his near fatal accident and recalls the transformative experience at the portal of death. "Beyond the Mirror" helps us contact the powerful reality of unconditional love that Nouwen experienced as he touched eternity. His insight inspires us to live our lives freely with confidence and trust that we belong to God." This book is Prof. Minear's clarion for a return to authentic biblical theology. After more than fifty years of teaching and research, his message is still simple: biblical theology must pay attention to the emphases of the biblical writers. Contemporary biblical scholars, often best trained as historians, tend to dismiss those elements of the Bible most relevant to the faith of ancient and contemporary Christians. 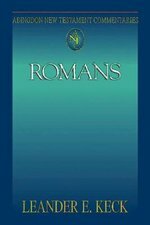 This book introduces contemporary students again to a study of the Bible with God at its heart. 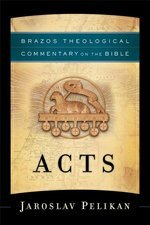 This monumental work is the first comprehensive biblical theology to appear in many years and is the culmination of Brevard Child's lifelong commitment to constructing a biblical theology that surmounts objections to the discipline raised over the past generation. Childs rejects any approaches that overstress either the continuity or discontinuity between the Old and New Testaments. He refuses to follow the common pattern in Christian thought of identifying biblical theology with the New Testament's interest in the Old. Rather, Childs maps out an approach that reflects on the whole Christian Bible with its two very different voices, each of which retains continuing integrity and is heard on its own terms. How can a modern person, informed by science and history, continue to recite the traditional creeds and confessions of the Christian church? What does the Bible mean and how do we verify biblical truths? In this groundbreaking book, a leading biblical scholar urges readers to be more creative interpreters of biblical texts, mapping out an alternative way of reading that is not first and foremost about understanding what those texts would have meant for the original authors and readers. 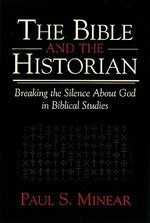 Limiting our study to the ancient meaning of the text, he argues, has produced either bad history, or bad theology, or both. One cannot derive robustly orthodox Christian doctrine or theology from a mere "historical" interpretation of the Bible. 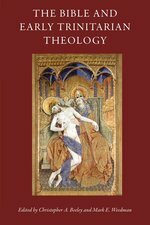 Martin offers instead theological readings of the New Testament that are faithful to Christian orthodoxy as generally understood, but without attempting a "foundationalist" understanding of the meaning of the text. His provocative and ambitious book demonstrates how theology and scripture can remain vital in the twenty-first century. West, in these illuminating conversations with the German scholar and thinker Christa Buschendorf, describes Douglass as a complex man who is both "the towering Black freedom fighter of the nineteenth century" and a product of his time who lost sight of the fight for civil rights after the emancipation. He calls Du Bois "undeniably the most important Black intellectual of the twentieth century" and explores the more radical aspects of his thinking in order to understand his uncompromising critique of the United States, which has been omitted from the American collective memory. West argues that our selective memory has sanitized and even "Santaclausified" Martin Luther King Jr., rendering him less radical, and has marginalized Ella Baker, who embodies the grassroots organizing of the civil rights movement. The controversial Malcolm X, who is often seen as a proponent of reverse racism, hatred, and violence, has been demonized in a false opposition with King, while the appeal of his rhetoric and sincerity to students has been sidelined. Ida B. Wells, West argues, shares Malcolm X's radical spirit and fearless speech, but has "often become the victim of public amnesia." Dietrich Bonhoeffer and Martin Luther King, Jr.-- these giants of recent Christian social thought are here reassessed for a new context and a new generation. Both combined activism, ministry, and theology. Both took on public roles in opposition to prevailing powers of their respective causes. 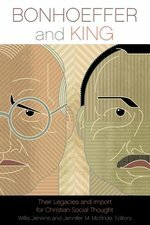 Here many of the leaders in Christian social thought revisit the insights, causes, and strategies that Bonhoeffer and King employed for a new generation and its concerns: race, reconciliation, nonviolence, political violence, Christian theological identity, and ministry.